I didn't meet Erika and Mark until the wedding day, so other then face book stalking I didn't know what they really looked like or what they were like, but I was happy to find that they were very sweet and down to earth. She was tiny like me, and he was tall like my husband, so working with the height difference didn't bother me at all :) She was absolutely beautiful and he was handsome! 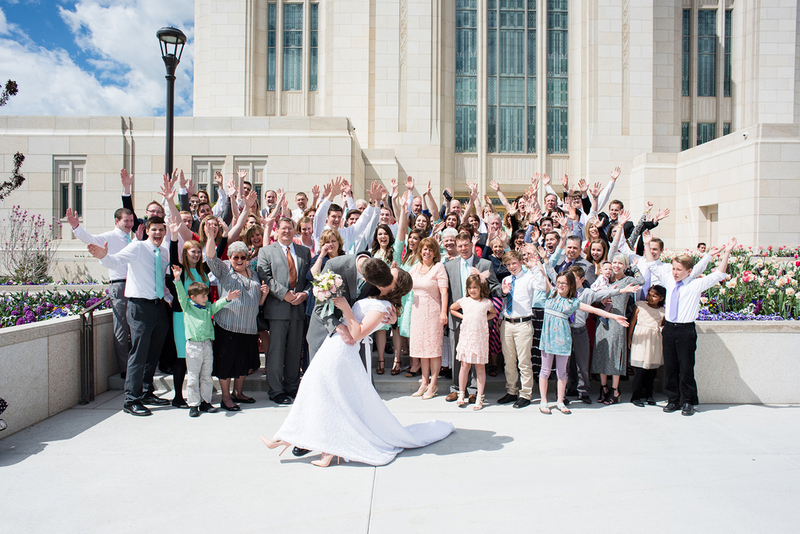 We only had a few moments together to get some photos around the beautiful Ogden Temple before they needed to head off to their luncheon, but we made the best of the time we had and came out with some perfect photos of the two of them together. These two have such kind families and friends, they were surrounded in love and excitement. Her bridesmaid dresses were so cute, and the bridesmaids were even cuter! I loved getting to know them! Thank you for letting me be a part of your day!